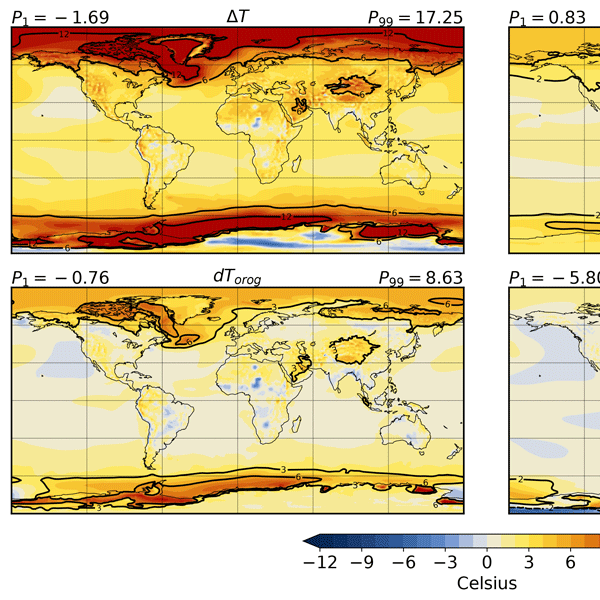 We show the results of transient simulations with a coupled climate–ice sheet model over the past 38 million years. The CO2 forcing of the model is inversely obtained from a benthic δ18O stack. These simulations enable us to study the influence of ice sheet variability on climate change on long timescales. We find that ice sheet–climate interaction strongly enhances Earth system sensitivity and polar amplification. The mid-Pliocene warm period is sometimes thought of as being a climate that could closely resemble the climate in the near-term due to anthropogenic climate change. Here we examine the tropical atmospheric circulation as modeled by PlioMIP (the Pliocene Model Intercomparison Project). 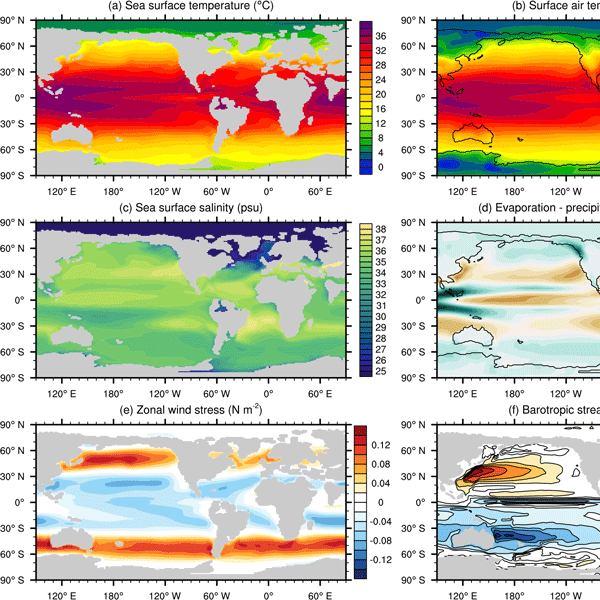 We find that there are many similarities and some important differences to projections of future climate, with the pattern of sea surface temperature (SST) warming being a key factor in explaining the differences. The timing and role in ocean circulation and climate of the opening of Southern Ocean gateways is as yet elusive. Here, we present the first model results specific to the early-to-middle Eocene where, in agreement with the field evidence, a southerly shallow opening of the Tasman Gateway does indeed cause a westward flow across the Tasman Gateway, in agreement with recent micropalaeontological studies. 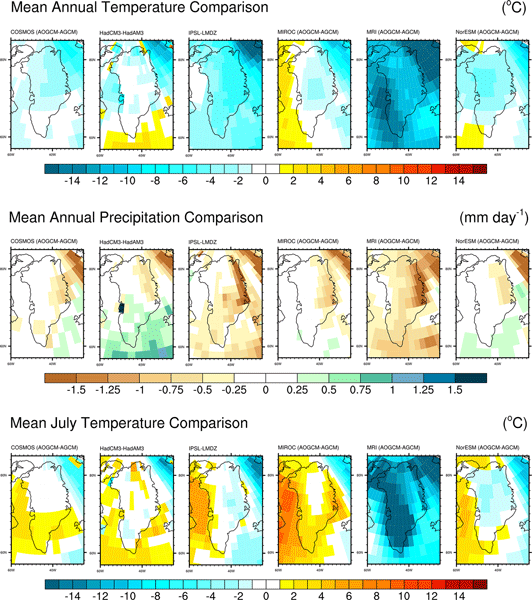 Simulations of pre-industrial and mid-Pliocene Arctic sea ice by eight GCMs are analysed. Ensemble variability in sea ice extent is greater in the mid-Pliocene summer, when half of the models simulate sea-ice-free conditions. Weaker correlations are seen between sea ice extent and temperatures in the pre-industrial era compared to the mid-Pliocene. The need for more comprehensive sea ice proxy data is highlighted, in order to better compare model performances. Here we diagnose simulated changes in large-scale climate variables associated with the formation of tropical cyclones (i.e. hurricanes and typhoons). The cumulative potential for storm formation is pretty constant, despite the climate changes between the Last Glacial Maximum and the warm Pliocene. There are, however, coherent shifts in the relative strength of the storm regions. Little connection appears between the past behaviour in the five models studied and their future projections. 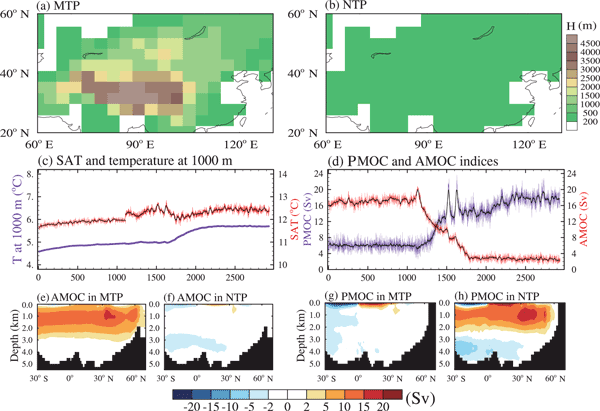 This paper investigates the climatic response to orbital forcing through the analysis of an ensemble of simulations covering a late Miocene precession cycle. Including orbital variability in our model–data comparison reduces the mismatch between the proxy record and model output. Our results indicate that ignoring orbital variability could lead to miscorrelations in proxy reconstructions. The North African summer monsoon's sensitivity is high to orbits, moderate to paleogeography and low to CO2. Previously, model ensembles have shown little consensus in the response of the El Niño–Southern Oscillation (ENSO) to imposed forcings – either for the past or future. The recent coordinated experiment on the warm Pliocene (~3 million years ago) shows surprising agreement that there was a robustly weaker ENSO with a shift to lower frequencies. Suggested physical mechanisms cannot explain this coherent signal, and it warrants further investigation. The paper assess the Greenland Ice Sheet’s sensitivity to a warm period in the past, a time when atmospheric CO2 concentrations were comparable to current levels. We quantify ice sheet volume and locations in Greenland and find that the ice sheets are less sensitive to differences in ice sheet model configurations than to changes in imposed climate forcing. We conclude that Pliocene ice was most likely to be limited to highest elevations in eastern and southern Greenland.